- Classification and study of the brand. - Viability study to verify that there are no similar or equal trademarks. - Submission of the application duly completed in IMPI (Instituto Mexicano de la Propiedad Industrial). - We inform about the process of your registration and the periods it takes to be fulfilled. Write to us at contacto@datso.com.mx and make an appointment, we can attend you personally in all Bajio zone. Or call us, in the state of Guanajuato at (01) 461 17 69 123 and in the state of Querétaro at (01) 461 254 03 95. The registration of trademarks is mainly based on how the words of the name are heard. Through this search, we tell you if the name of your brand is available for your products and services. Avoid unnecessary expenses by doing paperwork that will not proceed due to legal impediments. Through this analysis, we give you clear information about the classes in which you must register and anticipate objections from IMPI. 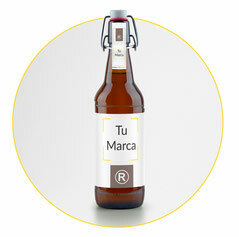 Includes a phonetic and figurative search of your logo. 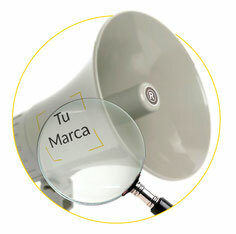 We register your brand in IMPI so that you have exclusive use throughout Mexico, for 10 years. A specialist is responsible for preparing and submitting the trademark application properly. During the process we keep you informed of the status of the process. Bank deposit, transfer, check, debit card or monthly payments with a credit card at 3, 6, 9 or 12 months. We accept all credit cards. We verify that your trademark can be registered. We create a strong strategy to request registration. Your application is submitted in a period of 24 to 48 hours, after receiving the data of your trademark. We give you a copy of the application submitted and we notify you of the progress. We give you the title issued by the IMPI, digitally or in printed format. The process of trademark registration lasts 6 months. During this period, the application must go through different analysis inside IMPI in which we notify punctually about the progress. Is there a problem if there is already a business with the same name as my trademark? There is a classification of brands with 34 types of products and 11 types of services. If the similar or identical trademark is registered in a different class than yours, then it is possible to register your trademark. How many payments must be made to register a brand? Only a payment of $ 5,800.00 MXN is required during the entire process. We take care of everything. What is the cost for renewal of a registered trademark? Is the registration fee for all classes that I want? The cost of registration is per class. In case of requiring registration for several classes, it is necessary to pay for each of them. For how long and in what places is my brand registered? Brand registration gives you exclusive use and licensing throughout the country of Mexico and lasts for 10 years, renewable. What documents do you need to register? Im order to make the application for trademark registration, only data about the owner of the trademark, the business and the services offered are necessary. In special cases it is necessary to submit additional documentation. For this reason, we suggest you approach us to know your case and guide you during the process. in order to answer your questions, write to us at contacto@datso.com.mx or call us, in the state of Guanajuato at (01) 461 17 69 123 and in the state of Querétaro at (01) 461 254 03 95.